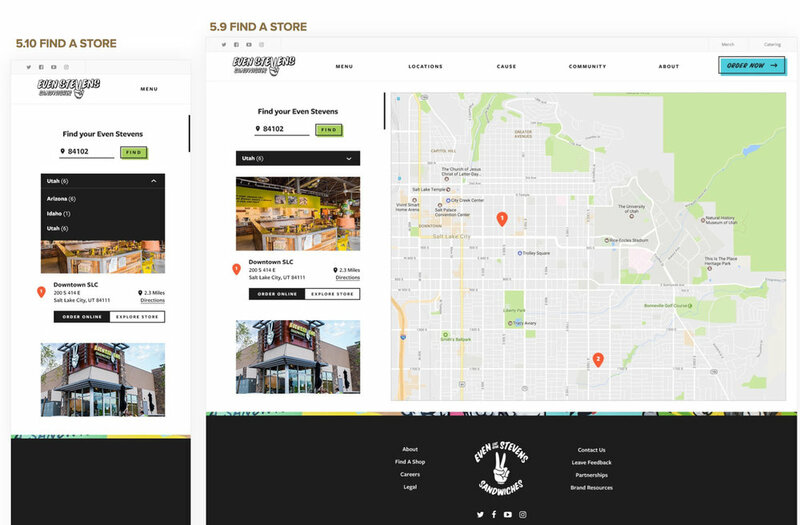 Even Stevens Website | Creating an omni-channel lifestyle brand experience. The Ask: Create an experiential website that captures Even Stevens' ambitious and multifaceted brand vision. 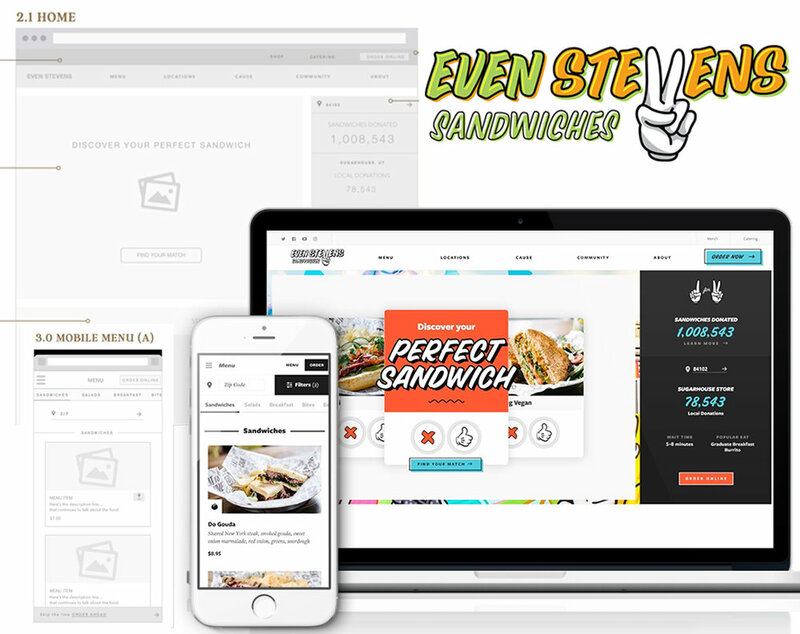 Even Stevens is one of Utah’s favorite start-ups disguised as a sandwich shop. They truly understand the meaning of fostering community and running a sustainable business that gives back to the local economies. The local favorite was quickly expanding and needed an experiential website that captured their ambitious and multifaceted brand vision. Digital Strategy: One of the perks of working with local clients (through Super Top Secret design agency) is the opportunity to spend time in ‘their world’ and talk to the many faces that embody the brand. We interviewed founders, HQ employees, restaurant employees, and customers to generate personas with corresponding features that delight customer and drive Even Stevens’ business goals. We organized these features into a site map and 3 navigation models each taking a different approach to engagement. 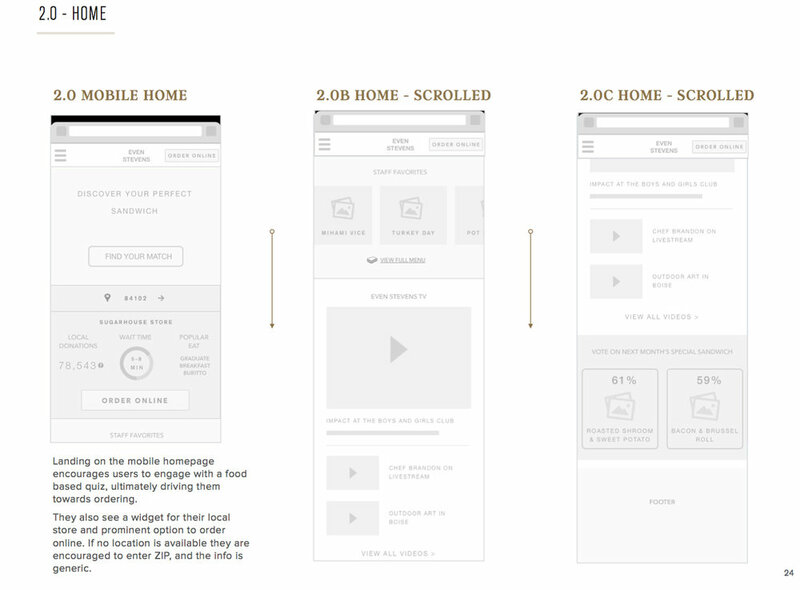 UX: Working from the selected navigation model that inspired engagement through interactive modules fed by local data, I continued to define the experience with wireframes. I started with the mobile experience knowing that it accounted for over 70% of their website traffic. 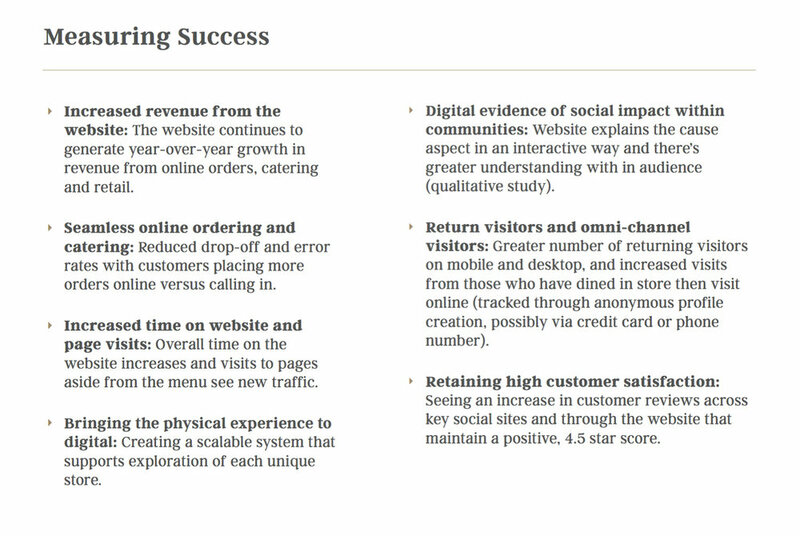 The website had to equally showcase the three pillars of the business, food, cause and community, without overwhelming visitors. 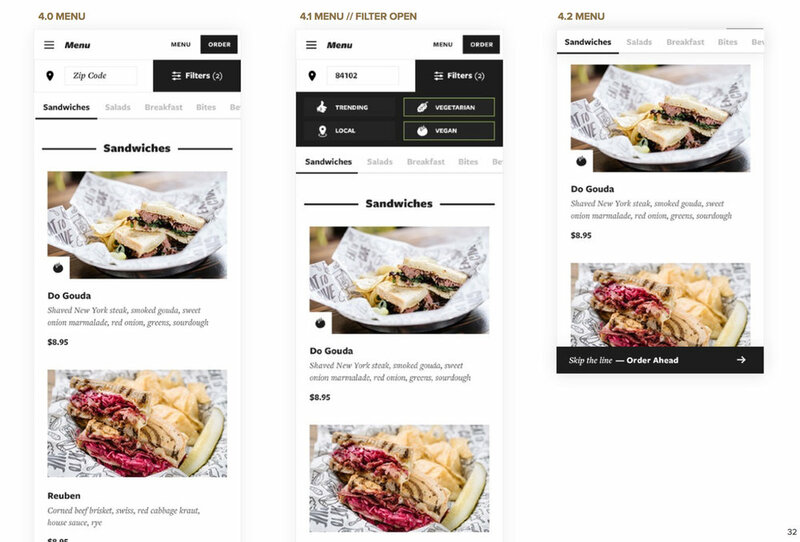 Part of the wireframing process included an audit and re-working of the online ordering flow to ensure it was optimized for seamless ordering, a key KPI for Even Stevens. The website wireframes got enthusiastic buy-in from the stakeholders across all teams, resulting in one of my favorite email reactions to date. ZUM Racing Website | Providing a small business with a professional website and platform for digital growth. Adidas Women's Website | Elevating a legacy brand to join the women’s fitness movement.